John chairs the Bankruptcy and Financial Restructuring practice group of Minneapolis-based Briggs and Morgan, one of Minnesota’s largest and oldest law firms. Briggs is a trusted name in business law and litigation services and is currently celebrating its 135th anniversary. John is published in various publications, is a frequent lecturer on bankruptcy, creditors’ rights and commercial topics, and is often quoted locally on bankruptcy and turnaround topics. He is a founding board member of the Turnaround Management Association's Upper Midwest Chapter and has been active in the American Bar Association and American Bankruptcy Institute. 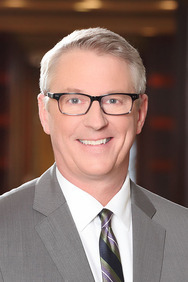 He has been named by the American Research Intitute as a "Leading American Attorney," by Best Lawyers as one of "The Best Lawyers in America" in the area of Bankruptcy and Creditor Debtor Rights / Insolvency and Reorganization Law, and by Minnesota Monthly Magazine as one of "The Best Lawyers in Minnesota." He joined Briggs in 2006 after 17 years with "A-List" firm Robins Kaplan LLP. In the community, John has been a member of law school advisory boards, as well as a member of the Saint Paul Sales Tax Revitalization Board (appointed by then Saint Paul Mayor Coleman). John has also served as a crisis nursery forster parent.